France is becoming an increasingly popular destination for those who love camping and this is for good reason. 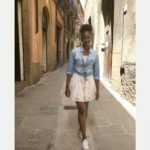 Camping in France brings with it a taste of culture, history, and most importantly, scenic nature that you can marvel at while you enjoy sleeping in the outdoors. With the rise of campsites in France with waterparks, you can now enjoy a little bit of aqua filled fun during your family holidays. It is for this reason that we have put together a list of the best campsites in France with waterparks that are sure to make for an unforgettable family vacation. This campsite situated in the French region of Provence makes its way to the top of our list for a number of reasons. Camping Les Tournels‘ enormous waterpark is spread out over 5,000 m² making it one of the largest in the region, so if your main priority is to splash around, this is the place to be. The water park is what a child’s dream is made up of as it’s equipped with fun twisting slides, a water play area reserved for children, and an overall tropical theme. Adults can also take advantage of the aqua gym sessions or the spa that offers balneotherapy. Other than the magnificent waterpark, the campsite is located in a beautiful setting that is blanketed with parasol pine trees. 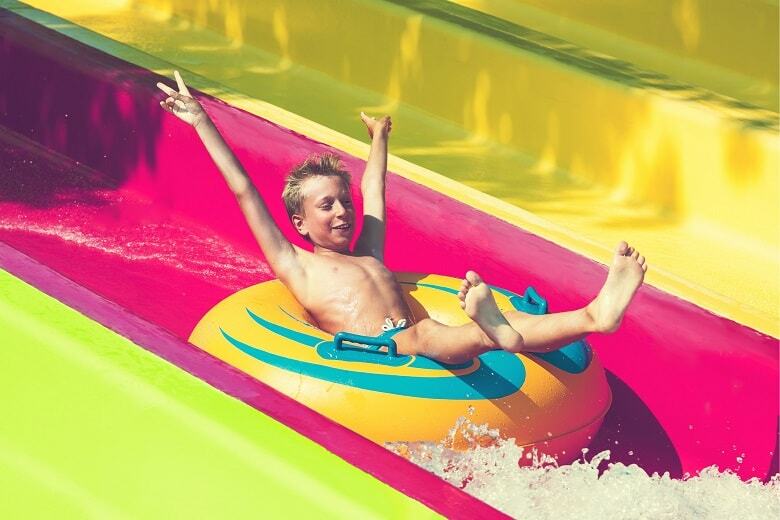 The waterpark of Camping Le Vieux Port takes the cup when it comes to size with an aquatic setting of 7000m² and 7 outstanding swimming pools, a true children’s paradise! This is no surprise as Camping Le Vieux Port is a 5-star campsite hence the quality facilities. The waterpark has both indoor and outdoor pools with a few that are heated for the guests convenience. As with any waterpark, there are waterslides that children can wear themselves out with including pool areas that are reserved for the little ones. You will never miss out on a chance to lay down and soak up some sun with the 700 sun beds that the campsite offers. The campsite also offers direct access to the beach as well as a wellness area that adults can escape to for some rest and relaxation. Le Vieux Port is guaranteed to make your camping holidays in France unforgettable. Campsites in France with water parks seem to take size as an important factor as La Sirène has 2000 m² of swimming pools in their water park area. The campsite takes the needs of both children and adults into consideration with something to do for the entire family. There is a children’s lagoon swimming pool including exciting giant waterslides and play areas as well as a covered heated swimming pool. Adults can also relax in the sunbathing area with a drink or bring their inner child to life and make some laps around the pool. 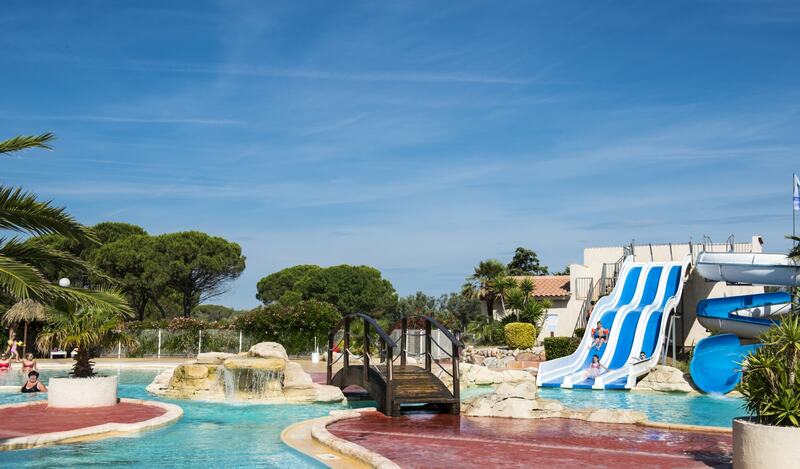 Situated in the French commune of Portiragnes is Camping Les Mimosas, a family campsite that boasts a waterpark of 4000m² that is in a castle-like setting. As soon as you arrive on site you will notice the thrilling slides with the highlight of the park that is the giant Aqua Looping slide which is 17 metres long. Toddlers can also safely splash around the paddling pool that is heated for their convenience and make use of the play equipment. During the summer, Aqua fitness activities are available around the pool area that adults can partake in, giving this campsite the perfect blend between children and adult activities. Of course we saved the best for last to go out with a bang! Camping Le Pommier Ciela Village which is located in Ardèche is definitely one to look out for when considering campsites in France with water parks. As we previously mentioned, size matters when it comes to camp sites in France and with Camping Le Pommier Ciela Village you are presented with the largest residential water park in France. The slides of this waterpark are something that will keep the children talking as they’re guaranteed to give them a thrill. There are also different swimming pools to choose from whether you want to make some laps, relax with your feet in the water, or be thrilled with the slides and shooters. The pirate ship located in the Pirate pool area is one thing that will grab your attention as soon as you step foot on the aquatic area. Le Pommier Ciela Village Aqua’Ardèche is also a 5-star campsite which is guaranteed to give you a taste of top-notch facilities. We decided to add a bonus campsite to the list with Domaine les Mûriers which offers a fantastic water park equipped with slides. The best part about it all is that we at HolidayparkSpecials have fantastic offers and deals for the Domaine les Mûriers campsite in France, simply click the button below to enjoy these special prices. Want to explore the outdoors in style? If you enjoyed reading about some of the best campsites in France with water parks then you should check out our article on the best glamping destinations in France to learn more about glamorous camping.